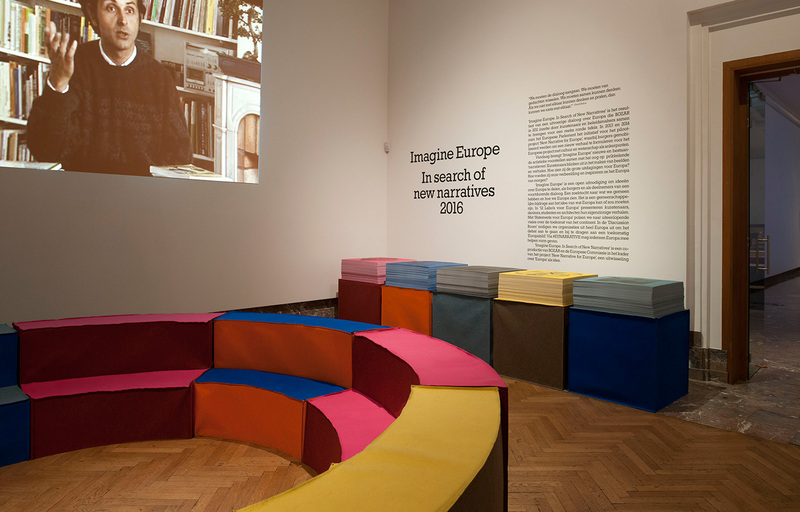 Exhibition design for 'Imagine Europe, in search of new narratives' in collaboration with the milanese architecture office Piovenefabi. 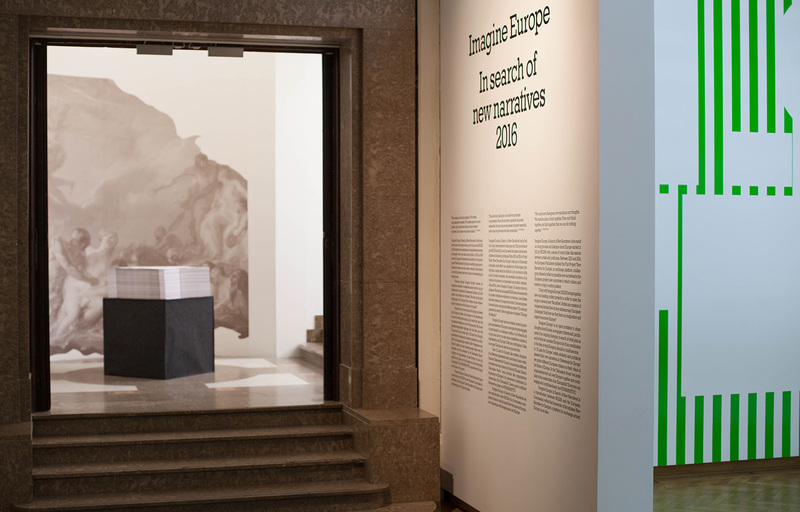 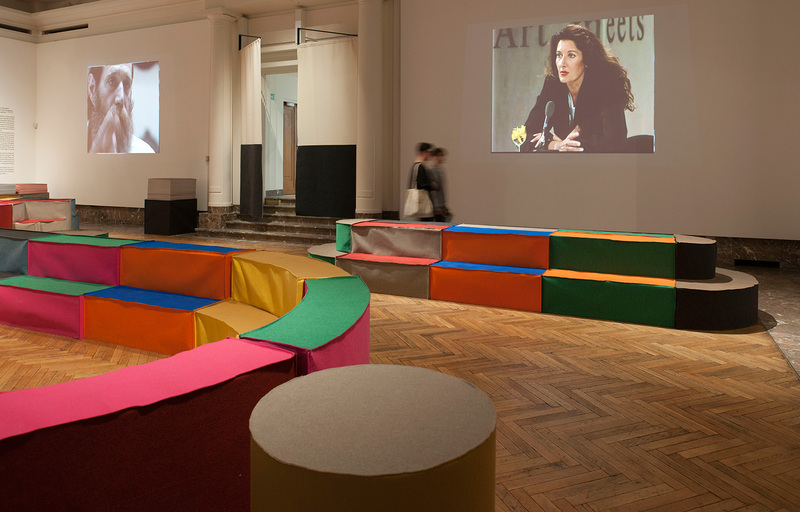 The exhibition, a Bozar production sponsored by the European Commission, invites artists, scientists and thinkers to present their vision of a future Europe in a series of labs. 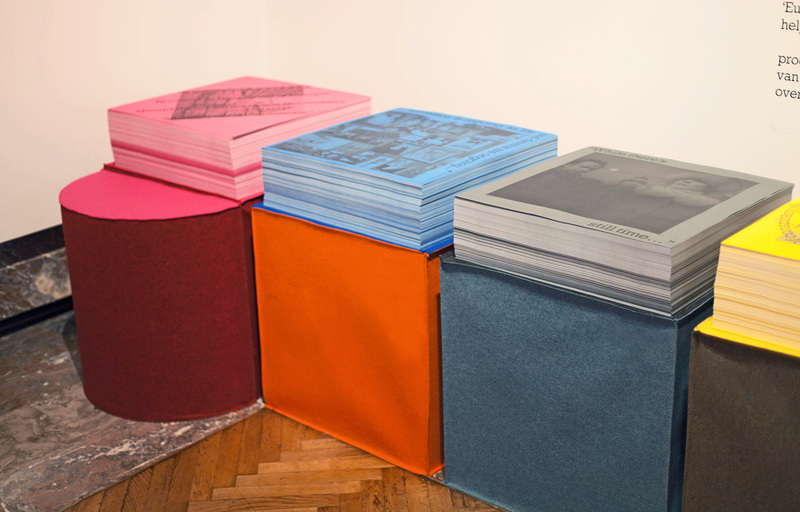 For these labs Piovenefabi developed a series of modular furnitures covered with colored felt. 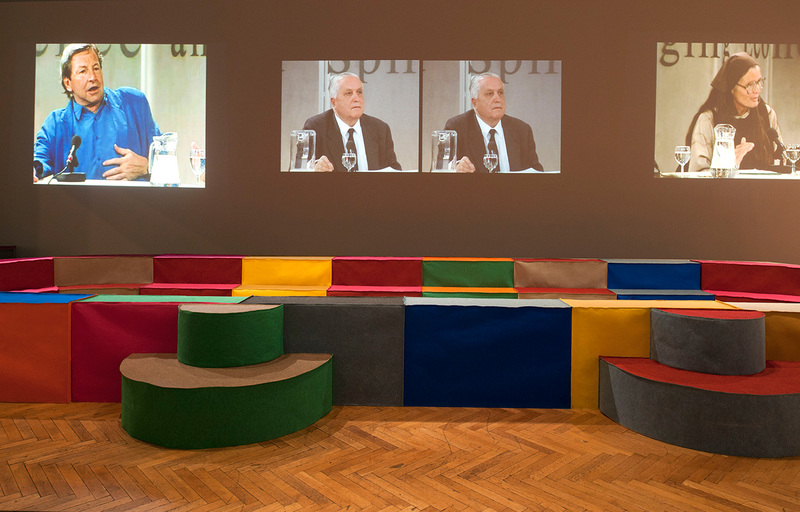 The rooms, divided from one another with a series of tapestries, follow a strict color sequence. 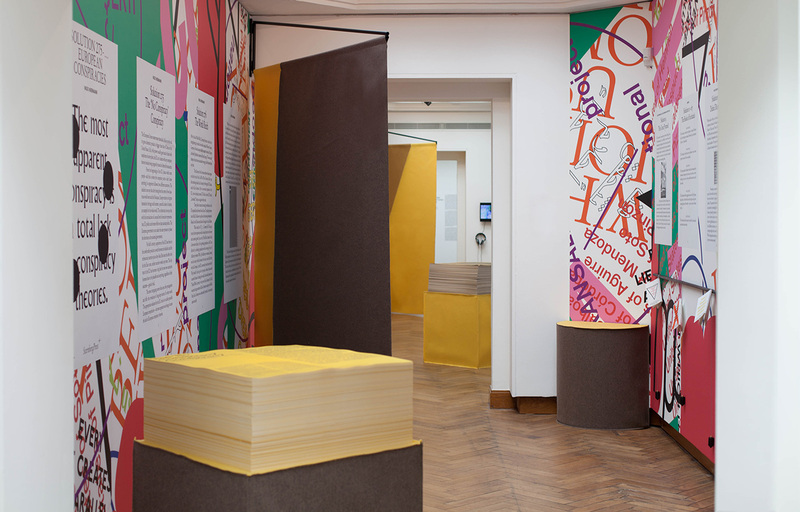 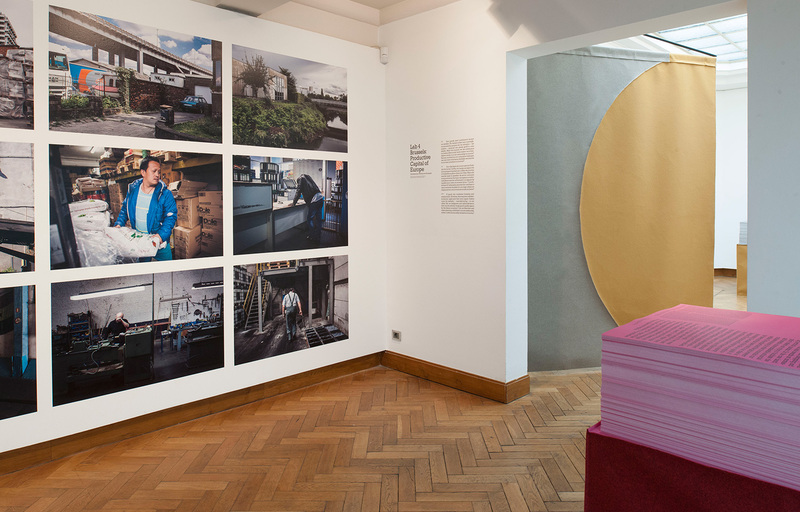 Designed as a portable exhibition, the wall texts are printed on a high stack of colored posters, which can be taken by the public. 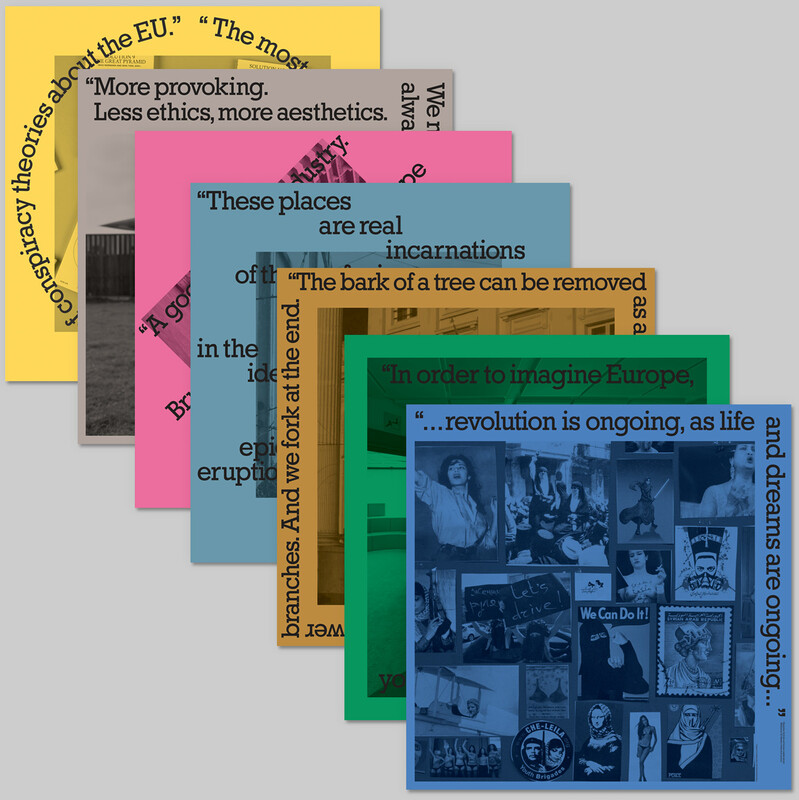 These posters, set up as an annex to the exhibition, communicate new narratives for Europe.